The following are the latest results contributed by HM Courts Service, for cases sentenced by West Sussex Magistrates’ Court sitting at Worthing from May 15 to 19, 2017. Ellie Taylor, 19, of Tower Road, Lancing, was given a community order with rehabilitation activity requirement and must pay £85 victim surcharge after admitting resisting a police constable in Chapel Road, Worthing, on October 1, 2016; assaulting a police constable in Liverpool Gardens, Worthing, on March 17, 2017. She also admitted using threatening words or behaviour likely to cause distress in Montague Street, Worthing, on December 17, 2016; disorderly behaviour while drunk in Liverpool Gardens, Worthing, on March 17, 2017; and using threatening words or behaviour likely to cause distress in the Guildbourne Centre, Worthing, on April 14, 2017, no separate penalties. Pamela Butterworth, 49, c/o Westbrook Way, Southwick, must pay £60 costs after admitting breaching a community order by failing to attend appointments on March 24 and 28, 2017. The order will continue but was varied to include an additional 20 hours’ unpaid work. Jake Denyer, 23, of Maybridge Crescent, Goring, must pay £60 costs after admitting breaching a community order by failing to attend unpaid work on March 11 and April 1, 2017. The order will continue but was varied to include an additional 20 hours’ unpaid work. Michelle Godwin, 38, of Mendip Road, Salvington, was fined £40 and must pay £60 costs, after admitting breaching a community order by failing to attend rehabilitation activity requirement sessions on March 17 and 24, 2017. The order will continue. Samuel Ross, 27, of Thorncroft Road, Littlehampton, was fined £20 and must pay £60 costs after admitting breaching a suspended sentence order by failing to attend unpaid work on February 12, April 2 and April 9, 2017. Charlie Bartholemew, 22, of Priory Field, Upper Beeding, was given a community order with 12-week curfew, electronically monitored, from 8pm to 6am, after admitting assaulting a police constable at Worthing Custody Centre on April 29, 2017. He must pay £85 victim surcharge, £85 costs. He also admitted using threatening words or behaviour likely to cause distress in Orme Road, Worthing, on April 29, 2017, no separate penalty. Peter Collins, 33, of South Farm Road, Worthing, was fined £93 and must pay £30 victim surcharge, £85 costs, after admitting possessing 19.8g of ketamine at Shoreham Railway Station on April 28, 2017. 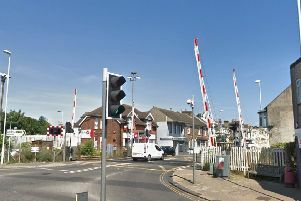 He also admitted possessing 7.7g of cannabis and using threatening words or behaviour likely to cause distress at Shoreham Railway Station on April 28, 2017, no separate penalties. Charlotte Walker, 35, of Lincett Drive, Tarring, was given a community order with rehabilitation activity requirement after admitting drink-driving (118mg of alcohol in 100ml of breath) in St Andrew’s Road, Worthing. She must pay £85 victim surcharge, £85 costs, and was disqualified from driving for 28 months. Matthew Gretton, 33, of Court Flats, Brougham Road, Worthing, was fined £750 and must pay £75 victim surcharge, £210 costs, after being found guilty of assaulting a police constable in Bexhill on August 25, 2016. Sean McNally, 38, of Findon Road, Worthing, was fined £265 and must pay £30 victim surcharge, £85 costs, after admitting driving over the 60mph speed limit on the A24 West Grinstead on July 28, 2016. His driving record was endorsed with three points.